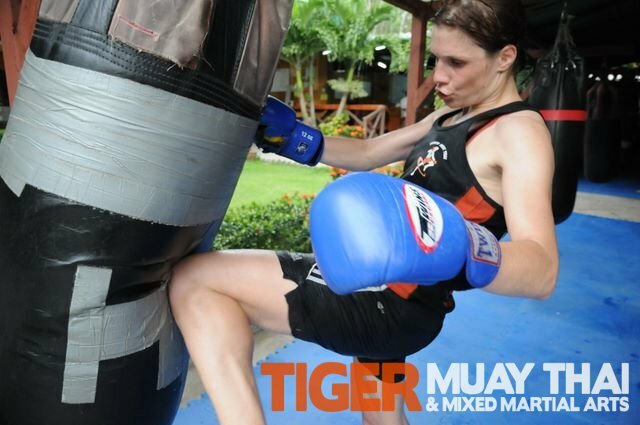 Tiger Muay Thai and MMA training camp, Phuket, Thailand alumni Claire ‘Bear’ Haigh continues her impressive dominance amongst women competing in Muay Thai by adding another World Championship to her collection. Defeating Sandra Pires of Portugal, Claire Haigh became a three time World Champion adding the KSFL Organization to her already accomplished Muay Thai resume. Returning home to Luxemburg, Claire prepared for the bout with TMT trainer Kru Goi, who is currently visiting Claire and instructing Muay Thai abroad. With the victory, Claire continues to look to compete against the top athletes in her sport. With the Muay Thai Premier League rumored to have a second season, it would be nice to see Claire Haigh in the tournament seedings.